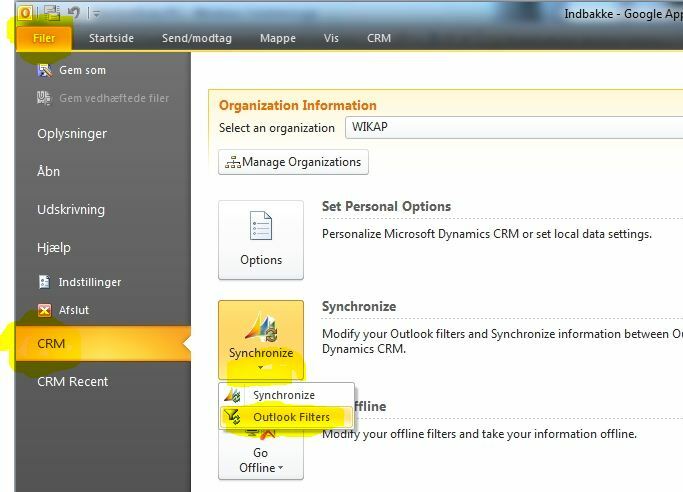 I love PowerWebform – the add-on that easily creates webforms able to send data directly into Dynamics CRM (I still wonder why the feature is not a standard one UPDATED 2017: you can use VOC now, but I still prefer PowerWebform). 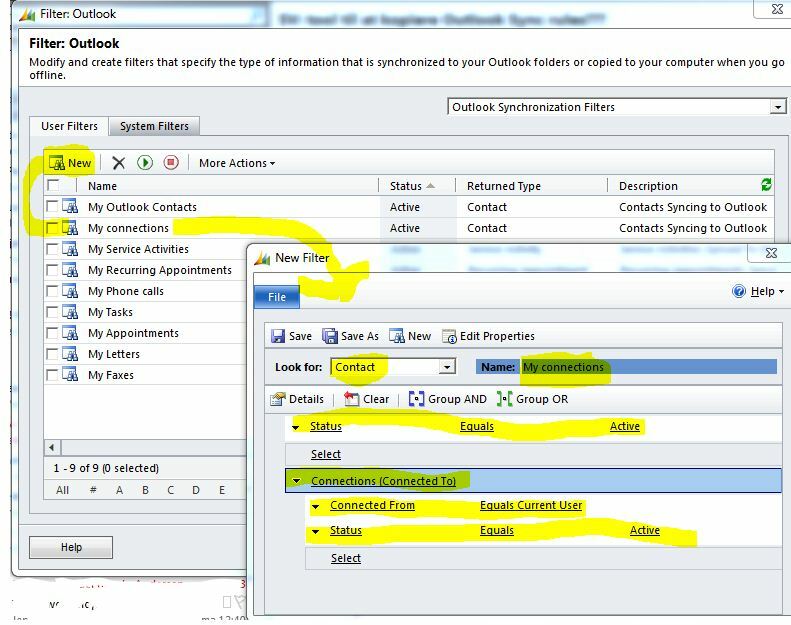 Recently I wanted the add-on to create a Case in CRM … but I struggled with why PowerWebform was not able to generate it as it normally was able to with all other entities. Create a HIDDEN text field labelled the entity name (contact) in my case). 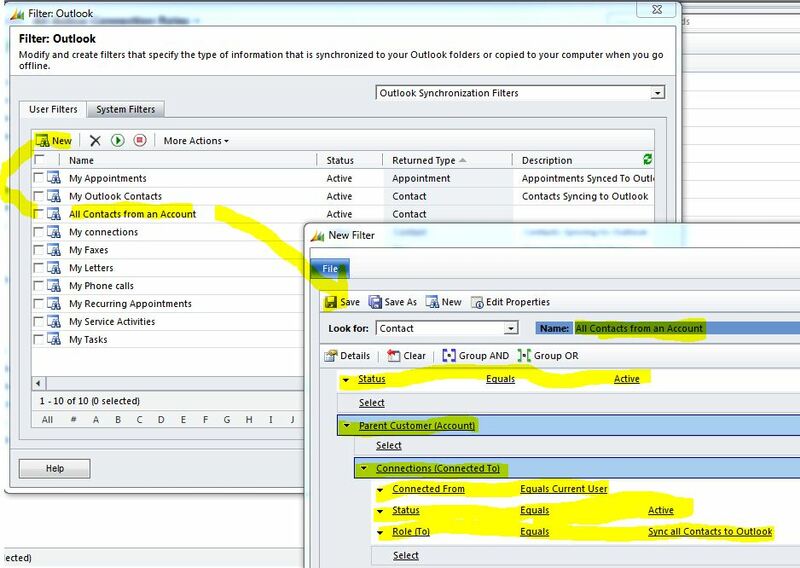 Then you should be able to auto create cases in CRM. 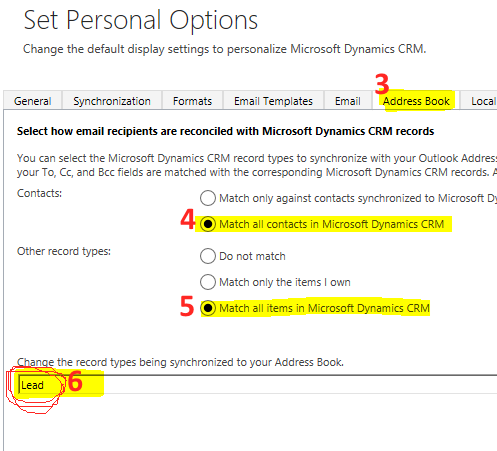 (in step 6 you specify which other entities you would like to select – including e-mail enabled custom entities). Step 2: Start using it! 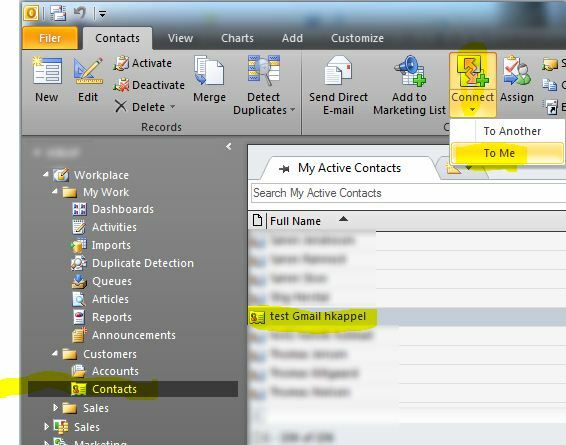 Create a new e-mail in Outlook and click To in order to select CRM Contacts or Leads. 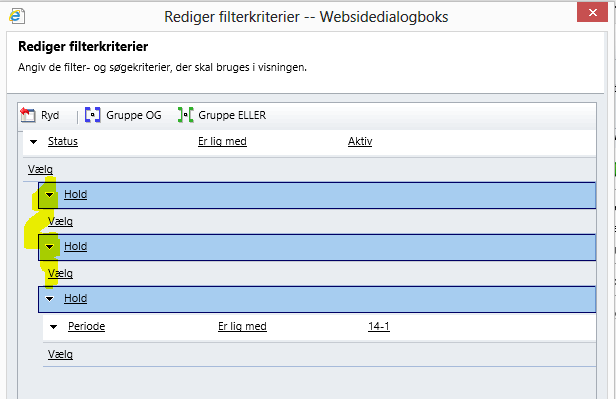 In the Addressbook (adressekartotek in Danish) drop down you find the relevant CRM Entity to search for. 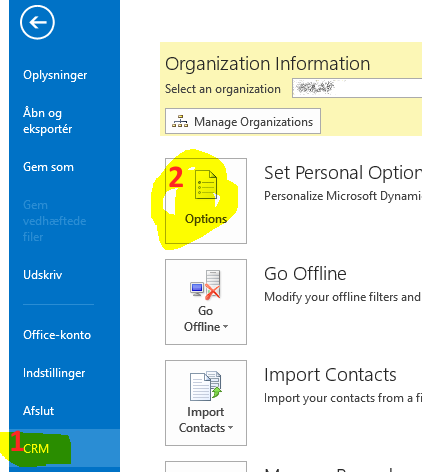 You can also search from the search field when selected (but use first name). Of course, the GUID can differ in your error case. In my case the problem was related to a Custom Entity. I ran a Microsoft support case, but at that time they couldn’t find a solution, and told me that it will be fixed in RU14. But now half a year later it is still a problem to my four customers’ Online organizations. Here is a walk through of a solution that seems to have fixed the issue permanently for me. 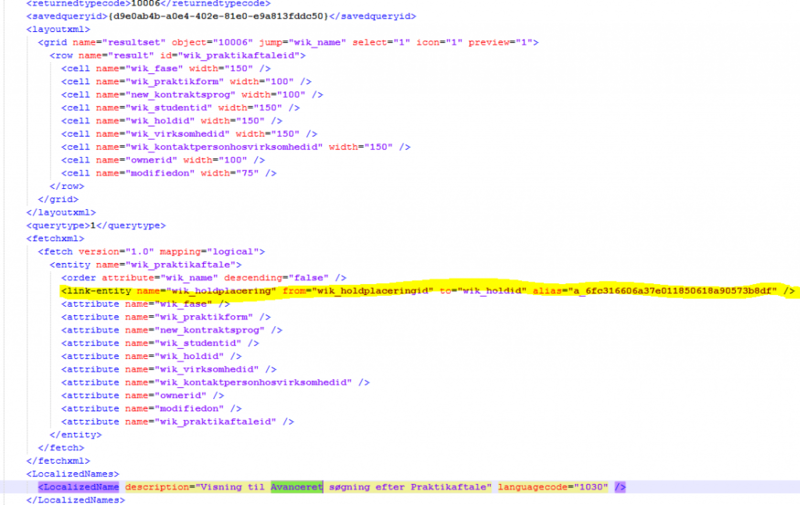 Overall its about cleaning up the Advanced Find XML definition since this seems to be the main problem. You need to repeat the process for each entity containing the problem. Now you should be able to create new System Views or copy existing ones (even copy ones with View columns from related entities). In my case I only had one link-entity line – and my problem was related to a Custom Entity I created. Hopefully this solution method is generic to other entities as well. Comments are appreciated in case you find other solutions. Her er en interessant analyse omkring sikkerheden i Cloudløsninger. 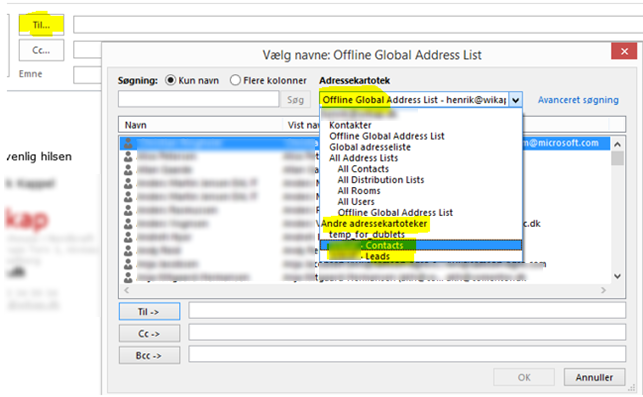 Konklusionen er at der ikke på artiklens tidspunkt er konstateret nogle sikkerhedsbrud på Cloudløsninger. Et ønske, jeg ofte støder på hos mine kunder, er at have muligheden for at abonnere på andre folks kontaktpersoner (som standard synkroniseres nemlig kun de kontaktpersoner man selv står som ejer på).